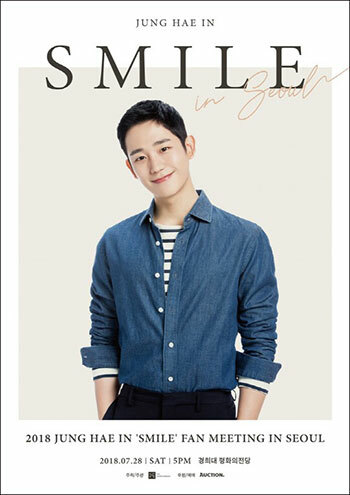 Rising star actor Jung Hae-in will hold his first fan meeting in July. The event, titled “Smile,” will take place at the Grand Peace Palace at Kyung Hee University on July 28. Similar fan meet-and-greets will also be held in Taipei, Hong Kong, and Manila after the Seoul event.